Holtby stops Panarin from left circle at 10:04. Boone Jenner appears to have gotten under the Capitals' skin a little. Dubois made strong move to net with puck, but then knocked into Holtby at 12:23. Third goalie interference penalty on Blue Jackets tonight, fourth in series. Blue Jackets kill off the penalty. Three shots on goal for Caps. Shots on goal are 47-27 Caps. Blue Jackets lead 4-3 with 4:54 left in third period. Delay of game penalty/puck over glass on Werenski with 4:51 left. 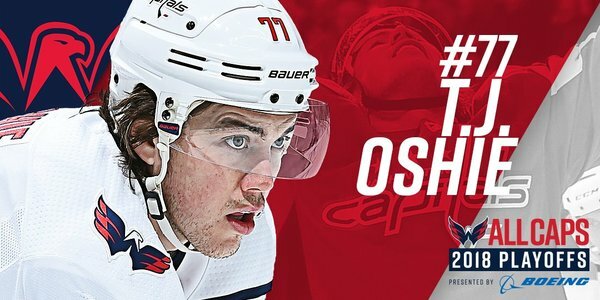 Oshie from the slot beats The Bob high glove with 3:35 left. Third PPG of game for Caps. That was Caps' 18th shot on goal of the period..
Carlson has three assists for the second game in a row. Jenner slashes Oshie's stick out of his hands with 1:59 left. 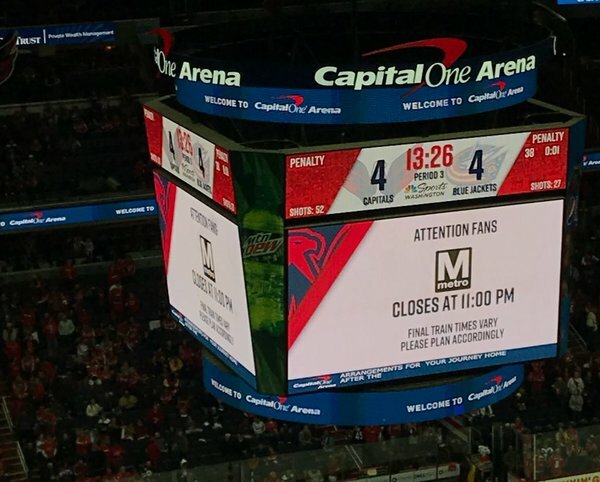 Capitals are outshoting Blue Jackets 21-5 in third period. Not sure if that went off iron or Bob. Blast by Carlson. And, we got to OT for second time in two games. Tied 4-4. Shots on goal are 52-27 Caps. 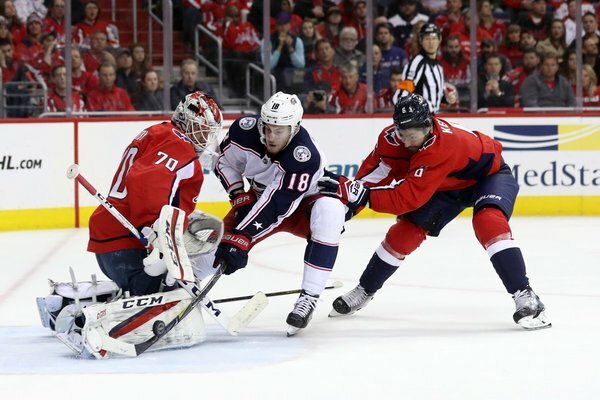 Capitals went to OT in five of six games in first round first Toronto last season. They're 2-for-2 with OT so far in this series. Blue Jackets have four playoff wins in their history. Three were in OT, including Game 1 of this series. Announcement that Metro is closing at 11 p.m. tonight. This one's going to OT! Now let’s win this thing. Niskanen called for tripping Anderson behind Washington net at 3:51.